What are Skin Flaps and Skin Grafts? Skin flaps and skin grafts involve the transplantation of skin and are used to assist with the healing of more serious wounds. What are skin flaps and grafts surgery? A skin flap is a donor section of healthy skin and tissue that is partly detached from its existing position and has its own blood supply which it then moved to cover a wound that is nearby. As it has its own blood supply, skin flaps can be used on larger wounds and can include skin and fat, or skin, fat and muscle. A skin graft is when a donor section of healthy skin and tissue is removed from one area of the body to replace or repair missing or damaged skin in another area of the body. A graft does not have its own blood supply. Where is it done? In most instances, Dr. Verma conducts skin flap and skin graft surgery at Honeysuckle Day Hospital in Newcastle, a fully licensed and accredited day hospital which specializes in cosmetic surgery. If the area of the site to be grafted is more extensive, you may require an overnight admission. Dr. Verma will discuss this with you at the time of your consultation. Length of surgery: Varies depending upon the size of the wound/s and the complexity of the surgery. Day surgery or inpatient stay? In most instances, this is a Day Surgery procedure. Costs will vary depending upon what is required for your individual treatment as well as the complexity and expected duration of surgery. Dr. Verma will discuss this with you at the time of your consultation and his team will provide you with a detailed cost estimate after your visit. Do I qualify for skin flaps and grafts surgery? If you have experienced tissue loss in any part of the body due to trauma, burn injury or skin cancer excision or have a persistent wound that is not healing properly you are likely eligible for a skin flap or skin graft procedure. 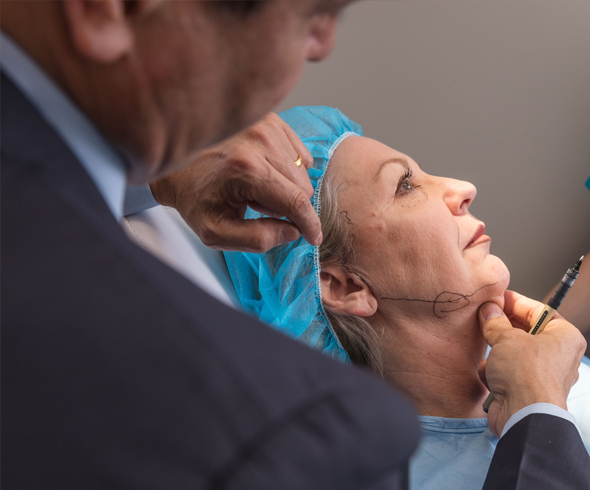 During your consultation, Dr. Verma will examine graft site areas as well as the condition and elasticity of your skin and establish a suitable donor site as well as examine your overall health and will discuss your suitability as a candidate for the surgery. He will also take a medical history during the consultation and will discuss with you the details of the treatment as well as the type of anaesthetic and recovery times of both the site to be repaired as well as the donor site. Photographs will be taken during the consultation which is an integral part of surgery allowing for an accurate pre and post-op record and documentation. Both the graft site and the donor site require specific after-care. You will be provided with detailed instructions by the Finesse Cosmetic Surgery team with regards to care of your sutures, wounds etc. In most instances, the donor site will heal in approximately 1-2 weeks after surgery. The graft takes longer to heal. You will need to undertake some lifestyle modifications based around showering and bathing for 2-3 weeks after surgery and avoid strenuous activity for around 3-4 weeks after surgery to ensure the graft site is not stretched or injured. Results will be visible after your tissues heal when swelling and bruising subside which may take up to a month. Full results will be visible in around 10-12 weeks after surgery. Similar to your consultation visit (see above), Dr. Verma will be taking photographs of your operation site in order to document its healing during follow up visits. How long do the effects of skin flaps and grafts surgery last for? If there are no complications, skin flap and graft surgery will last for your lifetime.